Lamda Literary, the nation’s leading organization advancing lesbian, gay, bisexual, transgender, and queer literature, awarded Ching-In Chen, assistant professor of creative writing in the Department of English, a prestigious Lambda Literary Award at an awards ceremony that took place on Monday, June 4, in New York City. Chen was honored in the transgender poetry category for their book “recombinant.” The book explores subjects such as Chinese/American history, as intersecting with Native American and African American history; genderqueer lineage; immigration, migration and labor, and speculation in the archive. Chen wrote the majority of the book while in the doctoral program at the University of Wisconsin-Milwaukee, but significantly revised the manuscript after arriving at SHSU. Chen’s ultimate inspiration for the book began as a young Asian American student. Chen spent a lot of time investigating events and studying archives, specifically the Asian Export art stored in the Peabody Essex Museum in Salem, Massachusetts and an 1889 anti-Chinese riot in Milwaukee, Wisconsin. “Much of this history involved policies such as the late 1800’s Chinese Exclusion Acts, which excluded certain immigrants from entering the United States based on race/ethnicity, gender and class. In this way, I think of Chinese American history as a history with an alternative, queer lineage, which I was also interested in exploring,” Chen said. Though Chen has already proven to be a successful writer and poet, they continuously practice and refine their craft. In addition, Chen finds encouragement and inspiration from accountability groups. Chen also participates in writing residencies and most recently earned a Storyknife Fellowship for June 2018 in Homer, Alaska. The opportunity allowed Chen to explore Alaskan writings and work in uninterrupted solitude and peace. Chen is a Kundiman, Lambda and Callaloo Fellow and a member of the Macondo and Voices of Our Nations Arts Foundations writing communities. Chen is the co-editor of The Revolution Starts at Home: Confronting Intimate Violence Within Activist Communities and Here Is a Pen: an Anthology of West Coast Kundiman Poets. Their work has appeared in The Best American Experimental Writing, The &NOW Awards 3: The Best Innovative Writing, and Troubling the Line: Trans and Genderqueer Poetry and Poetics. 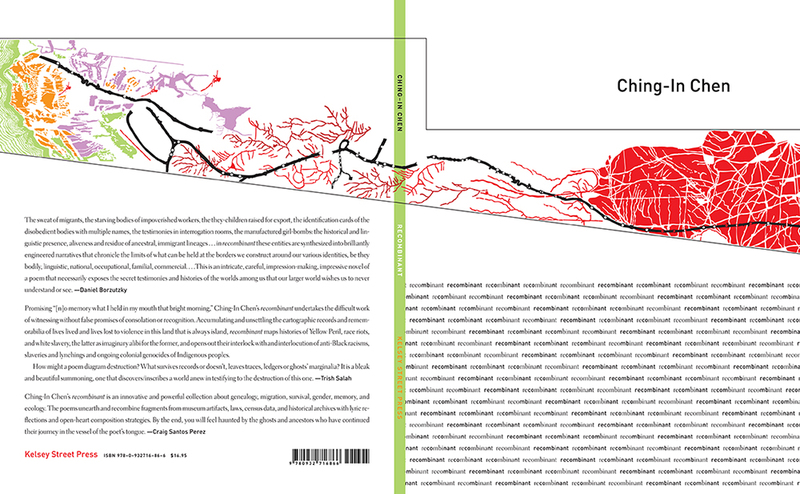 Chen is the also the author of “The Heart’s Traffic” by Arktoi/Red Hen Press in 2009. ‘recombinant’ was released in March 2017 by Kelsey Street Press and can be purchased here.